One of our favorite fall activities is visiting the apple orchard and picking apples. In preparation for our visit this year, we read Apples, Apples, Apples as we have done in years past. 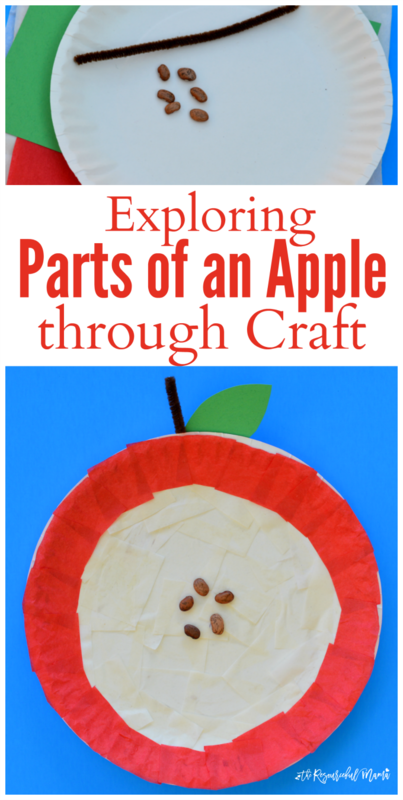 This year we combined this educational and fun book with a project that incorporates some of our favorites things: crafting, science and apples. Crafting and science met in a hands on learning opportunity as we explored the parts of an apple. We started our activity by cutting open a real apple and discussing the parts of apple. We then gathered craft supplies that would represent the various parts of the apple in our craft. 1. Tear or cut the cream (or white) tissue paper into smaller pieces and glue to the paper plate leaving it off the outside edge. 2. 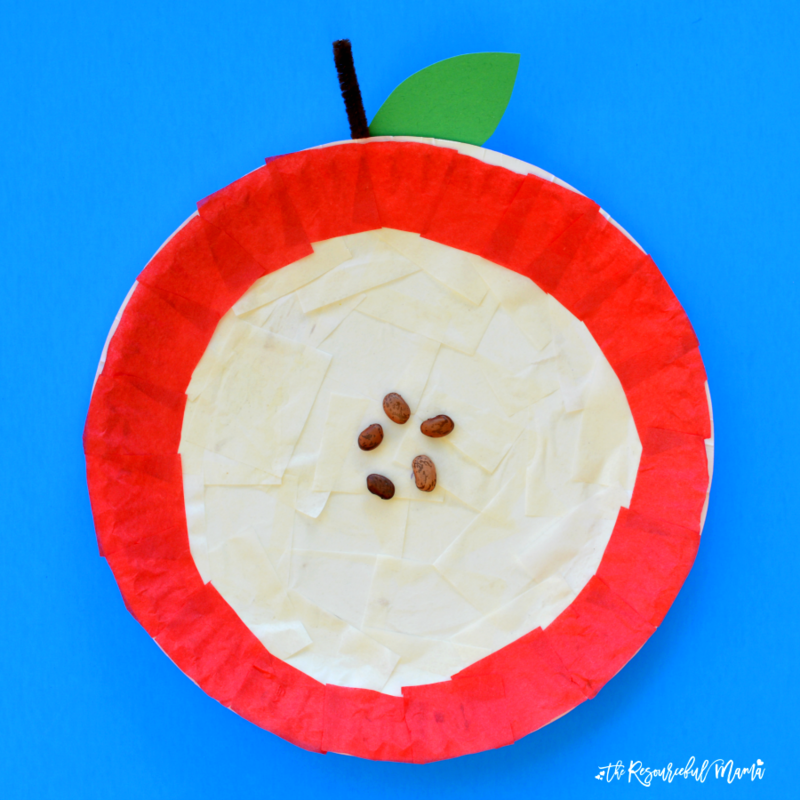 Tear or cut the red tissue paper into smaller pieces and glue around the outside parameter of the paper plate. 3. Glue a few seeds to the center of the plate. We used beans. You could also use apple seeds, leftover seeds from your garden, or seeds cut brown or black paper. 4. Cut a small piece from a brown pipe cleaner and glue to the back of the plate for the stem. 5. Cut a leaf from green paper and glue it next to the stem on the back of the plate. Study the life cycle of an apple with these activities: The Life Cycle of an Apple interactive book | Apple Life Cycle Hat. Visit and apple orchard and pick apples. Take this Apple Orchard Scavenger Hunt along with you. Enjoy an apple snack. We love dipping apple slices in caramel.